The Jeld Wen Siteline window is a nice, clean looking wood window that uses even sight lines. It's actually one of the better products from Jeld Wen and one of my recommendations, along with their Premium Vinyl Series. I'm not the biggest fan of Jeld Wen, I think there are better wood windows out there, but I do like the AuraLast and the custom options avaiable. As with all of their wood window series, the Siteline is built using an AuraLast wood, which carries a lifetime warranty against rot and termite damage. The AuraLast treatment is available on the interior wood and can be ordered as a pine, alder wood, or in a douglas fir. Consumers can order the window in a ton of exterior options including nine standard colors seven anodized colors and 13 upgraded darker color selections. On the interior, consumers can choose from nine different wood finishes. The Jeld Wen Siteline EX comes in nine different hardware finishes and is available in either a replacement or a new construction frame. The window come standard with a low E366 glass, along with a number of different optional glass selections. The Siteline model can be ordered as an awning, casement, double hung, or is a fixed frame window. Consumers can expect Siteline window replacement prices to run $60 to $70 for the window itself. Comparable windows include Andersen 200 windows price and Pella ProLine costs. The Jeld Wen Siteline EX clad window with the low E glass, argon fills and grids will deliver a .34 U factor, .18 SHGC and .42 VT. 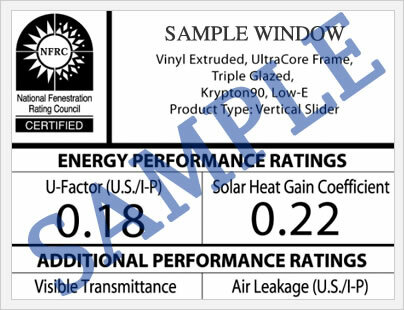 These are not bad numbers for a wood window, however they really can't hold a candle to a well-made vinyl or fiberglass window. Check out our guide to energy efficient windows to see the metrics that matter and see examples of each from popular brands. In terms of the warranty, the Siteline comes with Jeld Wen's standard 20 year warranty on the materials and the workmanship. 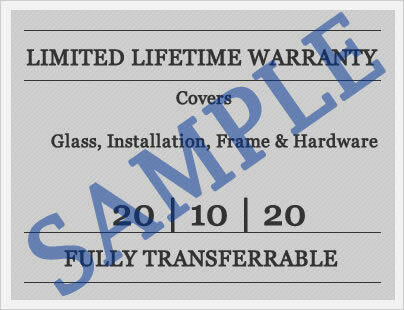 There warranty is transferable to one subsequent owner, although it is then only good for 10 years from the date of purchase. The AuraLast wood treatment comes with a limited lifetime warranty against termite damage and wood rot. Do you have Jeld Wen Siteline EX windows reviews to share with other homeowners and consumers? Let your experience help others make better informed decisions. If you have questions on the sideline EX window or any other Jeld Wen replacement or new construction window and would like to ask our team of experts, please do so here. Make sure to include your email so we can get back to you directly otherwise will post your answers on this page very soon.